An emotional third issue finds Heather trapped at Medical Central, Daisy says goodbye to a fallen Runner and the race for a cure could come at a cost. I've always held a policy of judging a new series by how strong issues 3 and 4 are. It should be the point where we get new information, secrets are revealed, a plot twist, or simply more character development. 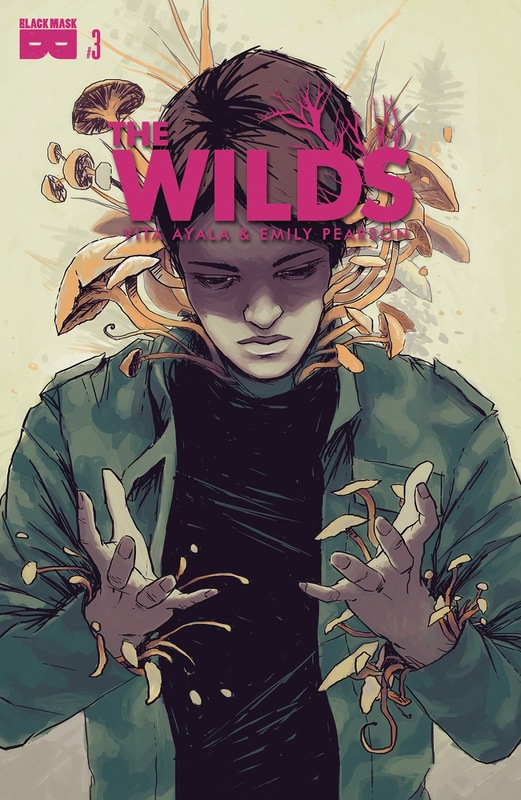 'The Wilds' #3 has a little bit of all that with a killer cliffhanger to boot. Since the issue moves the plot forward so well some things are better-left spoiler-free but emotionally speaking there's a lot of sorrow and tension throughout. Daisy and Rese are tasked with taking Teddy's body to a remote location to lay it to rest. Daisy's given up to four days to grieve and explore Teddy's last scouting location before his accident. It's a place Teddy spoke about that seemed too good to be true. It's a place that hasn't been fully explored and the danger of encountering abominations is high. Nonetheless, they make the somber journey together. Meanwhile, Heather is confined at the medical center and tries to make a daring escape. While doing so she discovers what exactly the race to find a cure entails and it's incredibly disturbing. There are some things from the old world that never change despite an apocalypse. Greed, the lack of empathy, the disregard for human lives, and the pursuit of power. No situation is completely philanthropic because humans by their very nature are flawed and at the mercy of their egos and instinct for self-preservation. These are some of the themes I draw from 'The Wilds' but I also see a glimmer of hope between certain characters whose love is the counterpoint to exterior forces. Emily Pearson has one of the cleanest art styles you'll find in the industry. Crisp sharp lines and Marissa Louise's bright colors highlight just how vivid this world is despite its danger. At times the backgrounds are scarce or non-existent but instead of feeling underdeveloped it puts the emphasis on the characters in the foreground and the emotional crisis going on in their faces. Daisy's sorrow followed by her delight, Heather's anger followed by her confusion, and a doctor's surprise all get priority both in dialogue and art. Admittedly, some of the action can feel stiff as composed but it's really the interactions between characters where the story shines. 'The Wilds' reaches a turning point where motivations are revealed, characters are captured, and the stakes become greater than ever. It's just the right pivot a third issue should have. You've suddenly immersed even further into this unique post-apocalyptic tale with a wonderful array of characters who are fighting not only to survive but to free themselves from indentured servitude. This solidifies 'The Wilds' as a bonafide thriller that deserves your attention.